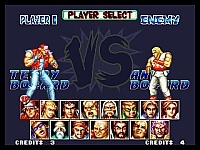 The third entry into the Fatal Fury series is more or less just a nice update of Fatal Fury 2 (the same sort of update as Street Fighter 2 World Warrior to Street Fighter 2 Turbo). The character roster has been boosted from 8 to 15 fighters, with new stages. I think that some of the moves have been altered a little too. 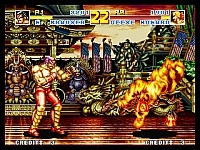 The graphics are just the same as before with minor changes to the stages on FF2. The music in FF 2 was nice, and most of it is re-used in this one... That's OK by me because it was cool already. Altogether you should know what to expect if you played the previous games, although this is not necessarily a bad thing though as Fatal Fury 2 was nice. 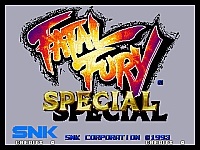 This game is a definite improvement over Fatal Fury 2, and although it's not an absolutely huge one, this is still by far one of the best of the "old-school" fighters around! 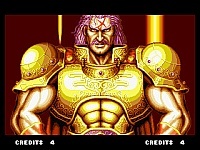 I love the Sega CD version. It's probably the best non MVS/AES version I've played, and it's like 98% identical to the original! Even though this game is fairly difficult, I still found it to be very enjoyable. Pretty spot on review ! Good game for sure, it has the fun factor which is key. I don't care for the "plane" jumping between the foreground and background : thats pretty much my main complaint . Its pretty hard though ! I can only beat it on beginner lol. ( you only get only 5 credits on AES ).. Cool graphics and sound overall also...recommended ! !